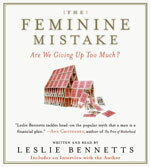 Leslie Bennetts has been a contributing editor at Vanity Fair since 1988, and is the author of the ground-breaking and controversial The Feminine Mistake: Are We Giving Up Too Much? Since its publication Bennetts has become an in-demand speaker for women’s organizations, corporations, business groups, conferences, religious organizations, and universities across the country and abroad. A married mother with a full-time career, Bennetts provides a riveting new perspective on women’s lives, documenting the lifelong consequences of the career sacrifices women make during the motherhood years – and the unexpected benefits of juggling work and family. Inspired by news stories about the “opt-out generation” of women who quit their jobs to become full-time homemakers, Bennetts interviewed experts in many fields and women of all ages and circumstances to reveal the price women pay when they give up work and depend on their husbands to support them. Most wives eventually confront such challenges as divorce, widowhood, a husband’s incapacitation or unemployment, which can jeopardize their children’s security and compromise their own futures. Although women believe they can opt back into the work force when they choose, Bennetts shows how difficult that is – andhow women and children suffer as a result of economic dependency. Her research and interviews provide compelling proof that working women enjoy better health and happiness than full-time homemakers, that their children turn out just as well, and that egalitarian marriages, in which both partners share the breadwinning and child-rearing, offer the best protection for the entire family. Bennetts offers women creative ways to manage the stress of the juggling act, find joy in work and family, and lead fulfilling lives that will sustain them in their later years. At Vanity Fair, Bennetts has written on subjects that have ranged from movie stars to priest pedophilia, industrial pollution, and U.S. anti-terrorism policy. Prior to joining Vanity Fair, she spent 15 years as a newspaper reporter. 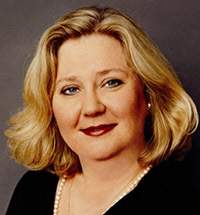 Bennetts began covering so-called “women’s issues” at The Philadelphia Bulletin in the early 1970s, and has continued to write about women, marriage, families, and parenting ever since. After five years at The Bulletin, where she won many awards for writing and reporting, she spent 10 years as a reporter at The New York Times, where she started as a writer for the style page and went on to cover national politics, metropolitan news, City Hall, and cultural news. She was the first woman ever to cover a presidential campaign for The New York Times. Bennetts has also written for many other magazines, including Town & Country, Columbia Journalism Review, New York, Vogue, Good Housekeeping, Ladies Home Journal, More, House & Garden, Worth, Family Life, Parents, Child, Parenting, Family PC, Condé Nast Traveler, Lear’s, The Nation, Modern Bride, Glamour, The New York Times Sunday Magazine, Self, Women’s Health, Tango, and Woman’s Day. She lives in Manhattan with her husband, journalist Jeremy Gerard, and their two children.